Hi there! Thanks for joining me for a three-part focus on Classroom Management! 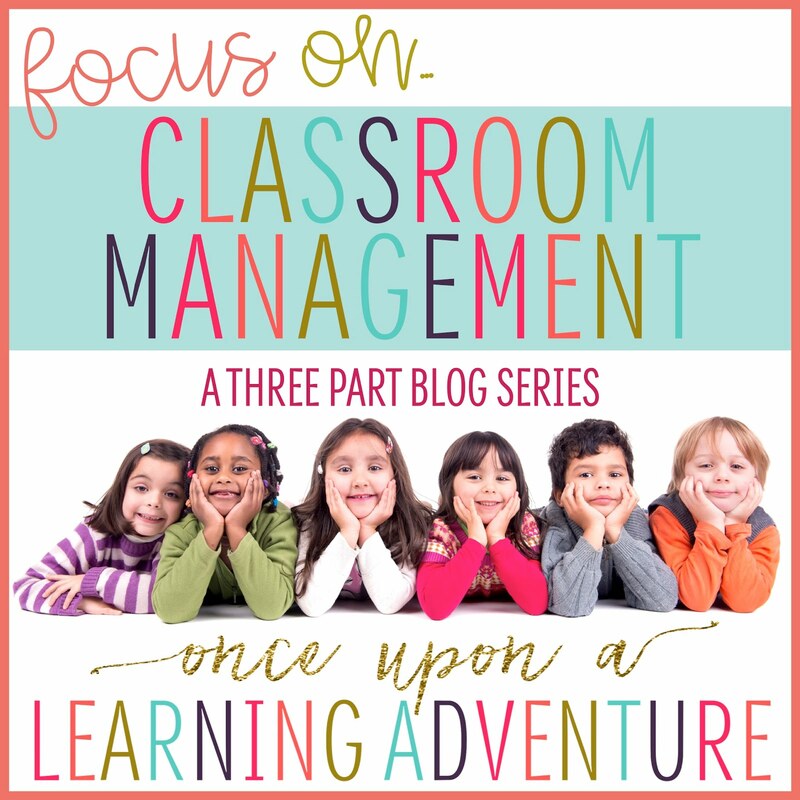 After teaching for nine years and blogging for the last five years, I thought I'd share some of my most successful strategies for setting students up for success when it comes to their behavior. 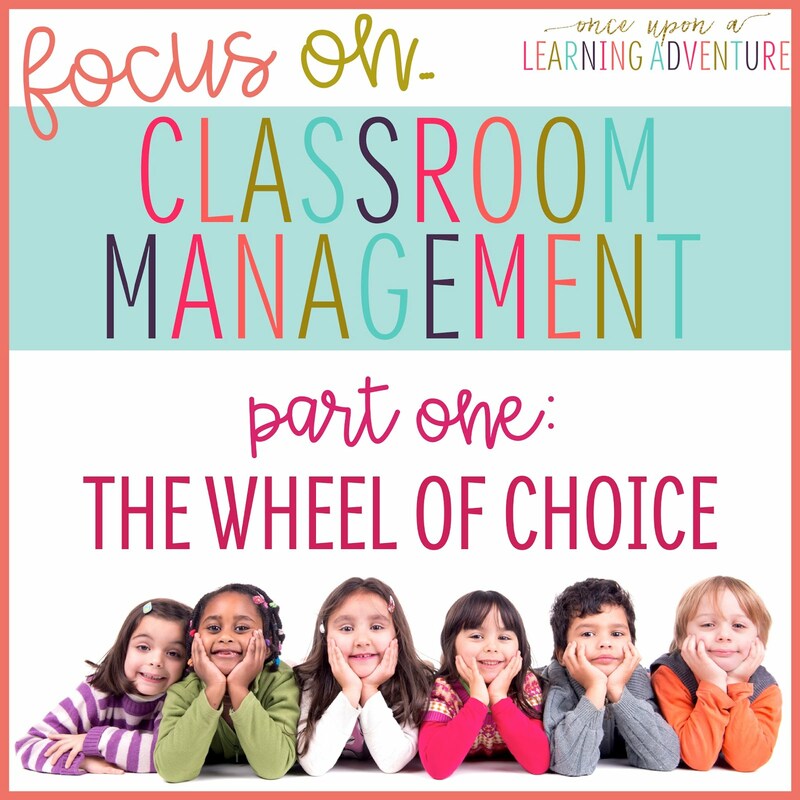 A few years ago, I posted about my success in using a Wheel of Choice in my classroom, and to this day, it is one of my most-used strategies and most-pinned resources on Pinterest. Because it has been such a staple for me, I thought it was time to give it a fresh look and a little bit of time in the spotlight. Hence, today's focus is on The Wheel of Choice! Basically, the Wheel of Choice is a tool that I have available in my classroom for students to use whenever they have a problem to solve. I try to encourage my students to become independent problem-solvers, so I teach a series of lessons introducing each option on the Wheel. I introduce things such as what it looks like to talk to a friend about a problem, how to use their "I Mean Business" voice to ask a peer to stop doing something, and how to visit the Cool Down Spot, which we'll talk more about in a later post. Once the students have learned what each item means on the Wheel, I set the expectation that my students attempt to solve their problem on their own using a choice from the Wheel before asking me for assistance. Most times, this helps my students to feel more empowered in being able to solve their own problems, and it keeps me from having to deal with all of those itsy bitsy problems each day. 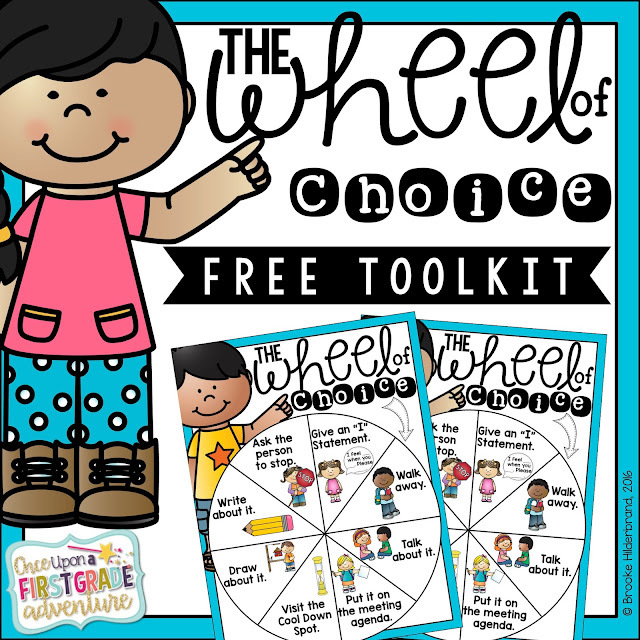 If you'd like to try the Wheel of Choice in your own classroom, please click the photo below to download it for FREE from my TeachersPayTeachers Store. Thanks so much for stopping by, and I'll see you next time for Focus #2: I-Statements and Apologies. Thanks for sharing a great post! 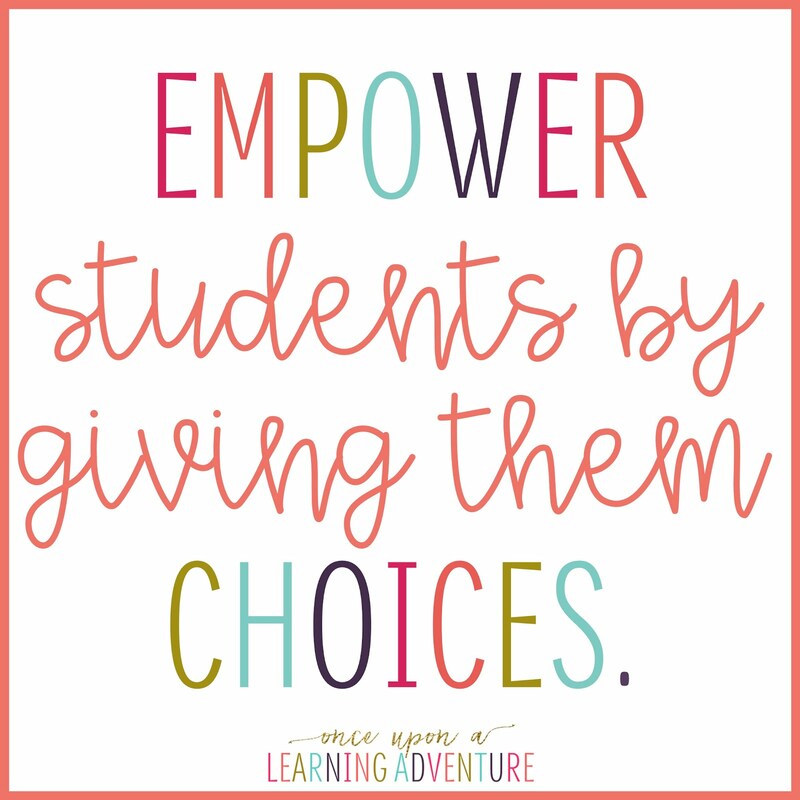 I agree that student choice helps with classroom management! Thanks so much for sharing this! It's fantastic! I am also grateful for sharing the activities and your experience. I would like to try the Wheel right away, I am sure my kids will be happy about al the choices they are going to have. It will make them feel like they have a say in the lesson planning and I hope they will become more independent and confident in their studying. Perhaps you should also include a wheel about how to make thing around the classroom, because writing can be done in a lot of different ways, like finding out about how to buy essay online and having more time for discussion activities. I am also grateful for sharing the activities and your experience. Thanks for the post, great tips and information which is useful for all..